The Hollywood legend Christopher Lee, who played Count Dooku in Star Wars: Episode II - Attack of the Clones and Star Wars Episode III - Revenge of the Sith, was born on this day in 1922. The English actor is most notably known for his performance as Count Dracula in Horrors of Dracula (1958), where he was an antagonist to Van Helsing who was played by another Star Wars actor - Peter Cushing. In the British actor's later career he cemented a place within Hollywood Royalty by playing two iconic villains - Saruman in Lord of the Rings and Count Dooku in the Star Wars Prequel Trilogy. 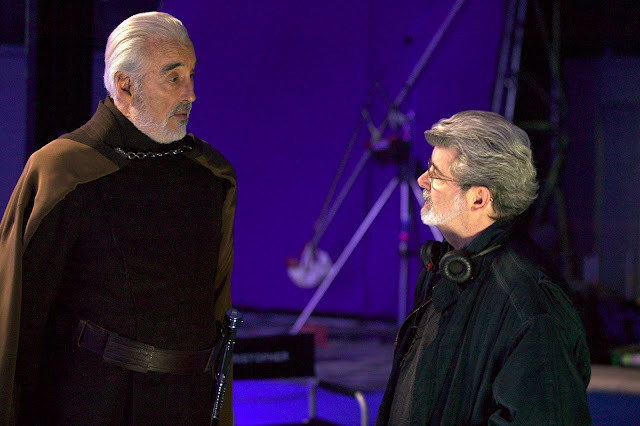 When cast as Count Dooku, the British actor said to StarWars.com: "Star Wars created a whole new era in the cinema. There's no question about that. It created an impact on cinema that was unique. This particular series of film will be a mythic saga on a vast scale." Christopher Lee sadly passed away, at the age of 93, in London, England on June 7, 2015. On the day he passed away George Lucas said in a statement: "Christopher was a great British actor of the old school. A true link to cinema's past and a real gentleman. We will miss him." 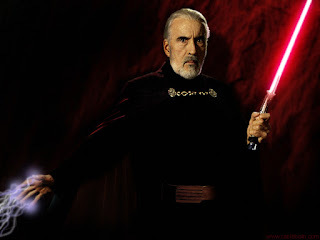 Count Dooku has evolved into an iconic Star Wars villain, one that has provoked much intrigue in fandom particularly surrounding the backstory of the Jedi turned Sith. Mr. Lee reprised the role of the Count in the movie Star Wars: The Clone Wars (2008), along with fellow Star Wars actor Samuel L Jackson. What are your favorite memories of Christopher Lee's performance as Palpatine's Sith apprentice? Let us know in the comments below.